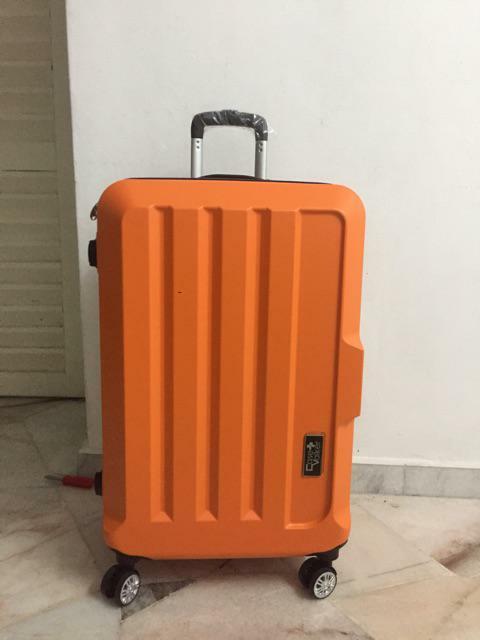 The Case Valker MATRIX hard case bag's embossed pattern is great if you worry about any potential scratches or scuffs, as it could easily hide those imperfections. There's a retractable hook built onto the bag's exterior which allows you to attach another brief case or handbag for easier transport. Get one on Shopee for RM75 to RM85 (depending on size), or RM155 for a set of 20" and 24" bags. The LALIBERTA LL103A hard case travel suitcase is made of acrylonitrile butadiene styrene, or popularly known as 'ABS' material, which is known for being a type of durable and lightweight hard plastic. Other features include a built-in lock, four wheels spinner, and top and side handles for easy lifting. Get it on Shopee for RM70 (20"). 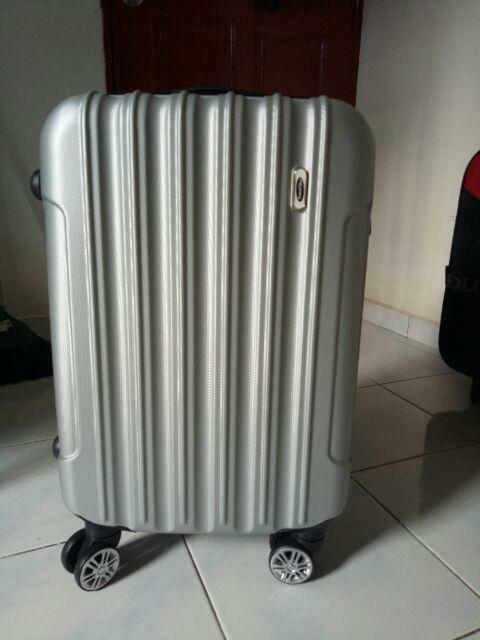 The SINMA travel luggage is yet another bag made of the popular ABS material that is reasonably priced. It comes in just one size - 20" - but it is big enough to fit plenty of clothing and necessities for your next trip. 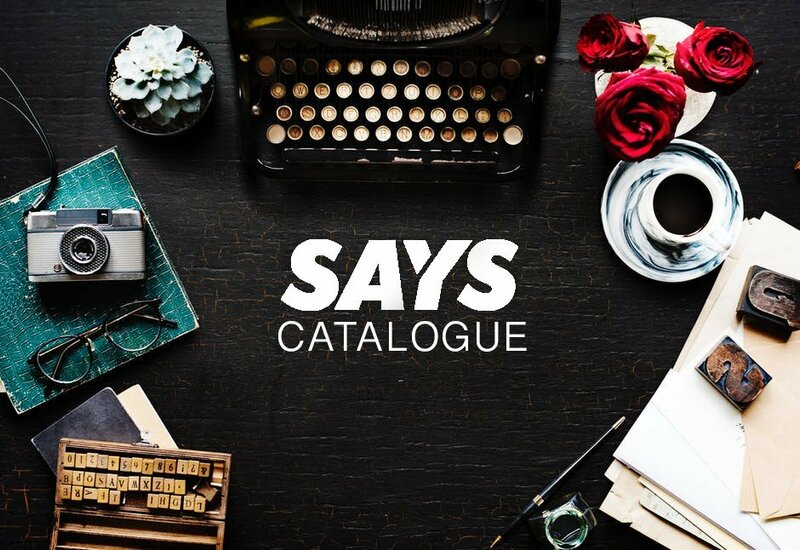 Get it on Shopee for RM69.90 (20"). 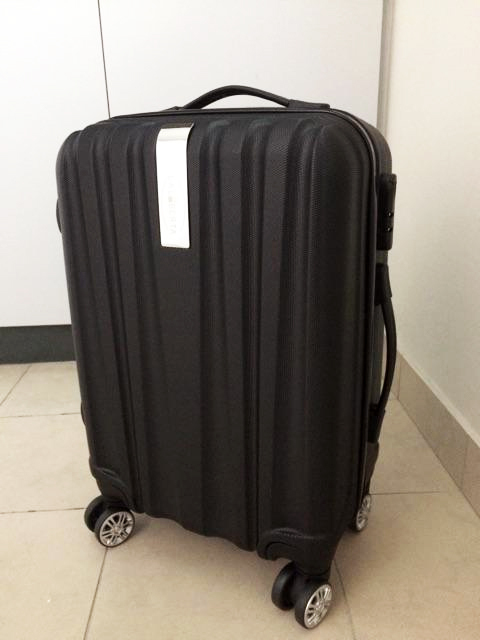 If you're looking for a new luggage bag, look no further than the Travel Star Voyage as it is an inexpensive but quality option. A highly-raved item, the ABS bag is equipped with an ultra silent four-wheel system for you to move it smoothly, even on rough streets and uneven pavements. Get it on Shopee for RM78 (20"). The merchant is also giving a 6-in-1 organiser as a free gift! 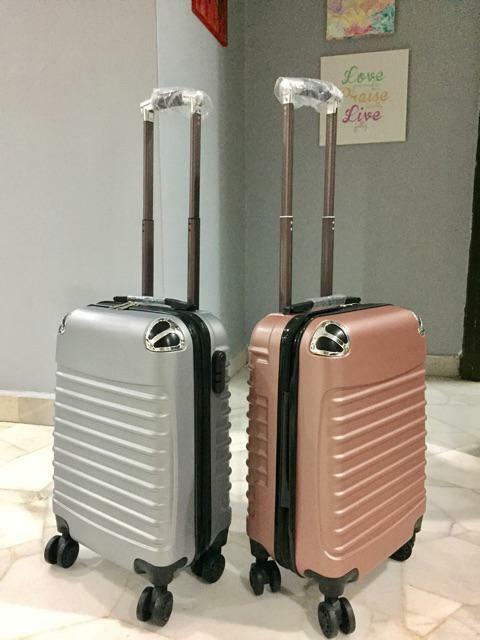 The Case Valker Fashion Gorgeous luggage bag is as solid as it looks and the four-wheel design makes it one of the mobile options you'll find in the market. Get one on Shopee for RM70 to RM95 (depending on size), or RM249 for a set of 20", 24", and 28" bags. It's a real good value-for-money bag! 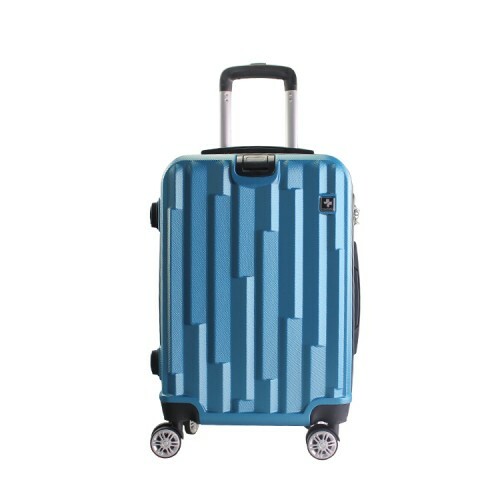 The Travel Star Shell Design is a sturdy and spacious hardshell suitcase made of PC and ABS. The bag comes in three sizes, making sure you have a choice for different travel durations and purposes. 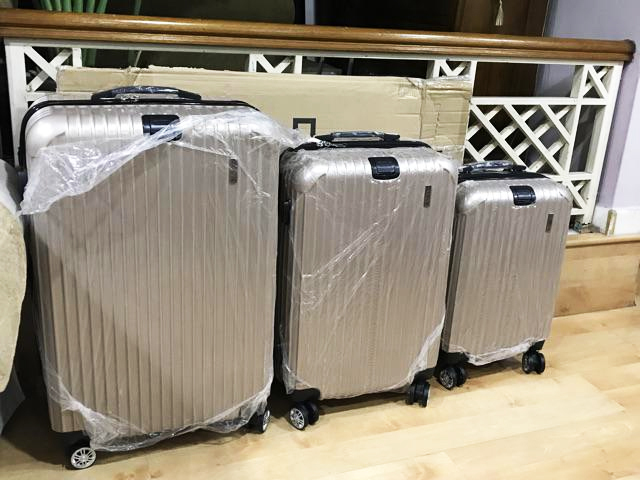 Get a set of three (20", 24", and 28" bags) on Shopee for RM195. The SKY TRAVELLER SKY284 bag is an extremely lightweight and durable bag, making travel less strenuous and fit for every type of travel purpose. It's also the kind of bag that glides almost effortlessly by your side thanks to its four-wheel features. 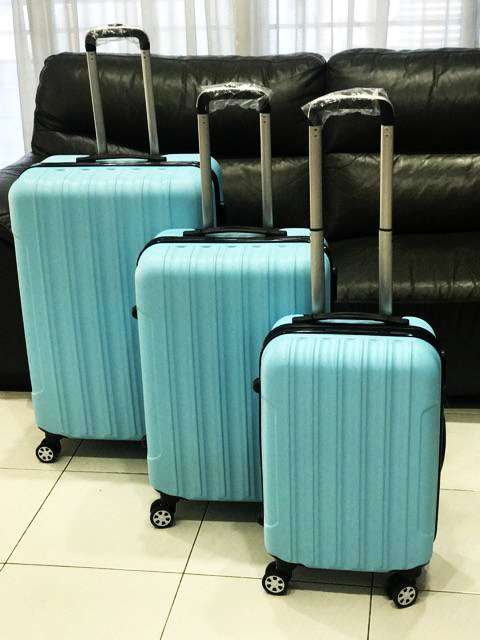 Get a set of 20", 24", and 28" bags for RM187 on Shopee. You'll never have to worry about manoeuvring your luggage bag in tight spaces anymore when using the ILOVEHOME ultralight bag which comes with four wheels for smooth, multi-directional navigation. The bag also features reinforced corners, making it a very sturdy bag. 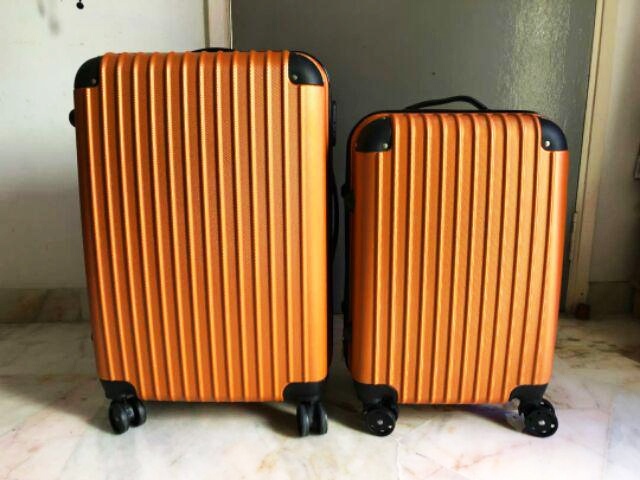 Get a set of 20" and 24" bags for RM149 on Shopee. 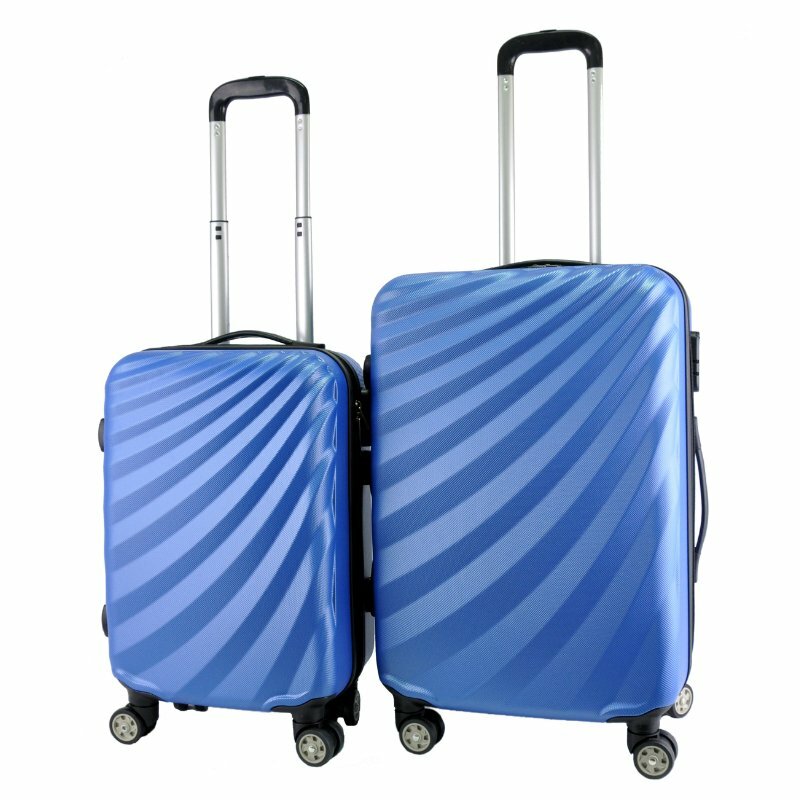 The Case Valker Glossy Protector luggage bag is made of polycarbonate (PC)-ABS glossy protector as the name suggests. The bag also comes with a built-in collapsible hanger for you to attach any small items on it. Get one for Shopee for RM73 to RM95 (depending on size), or RM249 for a set of 20", 24", and 28" bags. 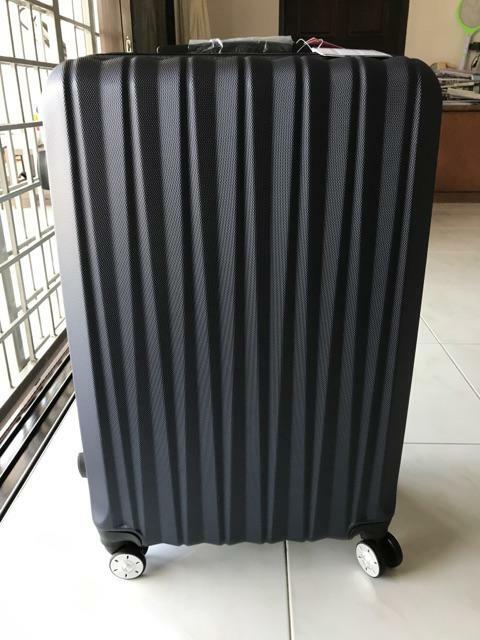 If you're looking to get a good-quality yet still affordable bag, you can consider the Case Valker Streamer Diagonal luggage bag. 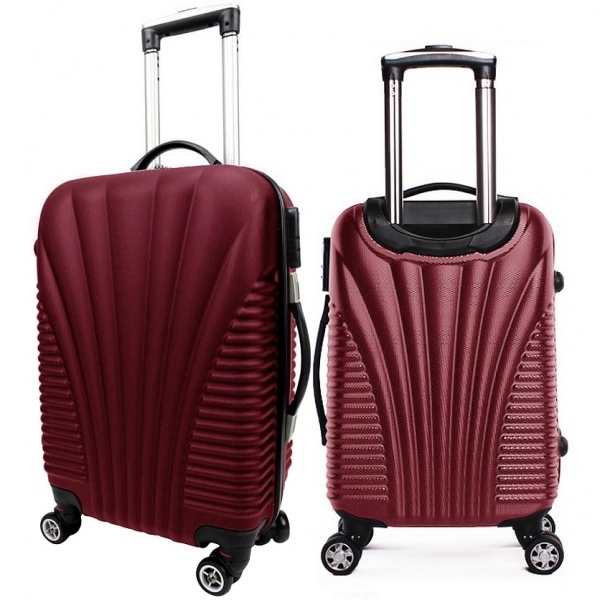 The bag comes with an integrated lock to ensure your belongings are safe and secure throughout your travels as well as 360-degree spinning wheels for free movement. Get one on Shopee for RM68 to RM78 depending on size, or RM139 for a set of 20" and 24" bags.